Today, the gadget community was abuzz with the leak of the Samsung Galazy Tab 2 whose specs were leaked along with a teaser video. The new Galaxy Tab is a successor to the original Galaxy Tab and boasts of faster performance and more rich features along with the latest softwre. The Galaxy Tab 2 features a 7-inch AMOLED display with a resolution of 2048×1200 pixels. Another 10-inch version is also rumored to be in works. The Galaxy Tab 2 will also be having a 8 megapixel camera along with HD Video support including a dual-LED flash while the 3MP front-facing camera is for video calls and conferences. 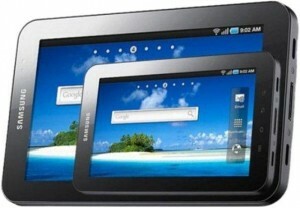 It comes with Android OS 2.3 and will also support Android 3.0 Honeycomb which can be pushed to the Galaxy Tab 2 when it’s released. Galaxy Tab 2 is rumored to run the NVIDIA Tegra 2 processor with 1 GB of RAM. Other features are standard that include Bluetooth v3.0, Wi-Fi, 64GB onboard storage along with a microSD card. Among other features include digital compass, accelerometer, gyroscope and barometer sensors. The tablet will be available in three different colors Black-Black, Black-Silver and White-Silver. Samsung is aiming to launch the device sometime in February before Apple’s much anticipated iPad2 launch which will help it grab the market before its sold to the iPad. Previous Why the Delay in Gingerbread Updates for Android Phones?